A metal roof, often referred to as a tin roof, is a roofing system made from metal panels, pieces or tiles. Historically, inexpensive metal roof sheeting in the form of corrugated galvanized steel was a great aid to early development in America. This is still happening today in parts of the developing world, but the majority of the metal roofing market today uses the versatility of this product to create eye-catching architectural designs. Metal roof systems are increasingly popular for adding color and character to buildings, since there are many different types of panels and profiles to choose from. Metal roofing is highly durable. The lowest end of the metal roofing options are called AG (agricultural) or Utility Panels, which typically are thin gauge with acrylic or polyester paints. These types of metal roofing will typically last between 20-30 years, which is roughly 2 times the lifespan of an average asphalt roof. Most other metal roofing products today come with impressive warranties of up to 25-50 years. The durable sheet materials that these roofs use (stainless steel, copper, zinc and aluminum) are inherently durable, mostly due to the oxidization of the base material which forms a protective patina. Some modern steel roof sheeting materials are also coated with an alloy of zinc and aluminum to give extra durability to each of the materials at a lower cost and higher strength. Copper and zinc have historically been proven to last upwards of 100 years with little or no maintenance. When choosing the type of panels that you would like to use for your metal roofing, you have two different options. Exposed Fastener Panels: A structural panel typically used on metal buildings such as sheds, workshops, detached garages and patio covers. The most common types are the R-Panel and corrugated Panels. This panel can be the wall panel and the roof. In air conditioned space, vinyl backed batt insulation would be installed underneath the panel, using an exposed fastener with a sealing washer, which screws through the panel from the outside. Panels come in a wide range of colors and are inexpensive to install. Exposed fasteners are common on metal buildings, barns and exterior canopies, including: R panels, M panels, U panels, SV crimp, C panels. Concealed Fastener Panels: When appearance and long term performance matter, concealed fastener panels provide both. Standing Seam and Architectural panels are common terms for this type of panel. These panels can be installed over open framing, but generally require support under the entire system. When installing concealed fastener panels, a panel is laid down, a clip is set over one leg of the panel and screwed to the deck and then another panel is laid down over the clip. The clip is used to connect the two panels together by either snapping in place or using a seamer to roll the seams together. The clip is rolled with the seams in a single lock or double lock manner. A weather seal should be applied in the seam before seaming. The key to any quality, efficient metal roof is proper installation. Thermal movement can significantly affect metal panels. Therefore, when installing metal panels, many considerations must be determined before the installation begins. These include panel length and width, fastener locations, curb and penetration location, seam height and ventilation. 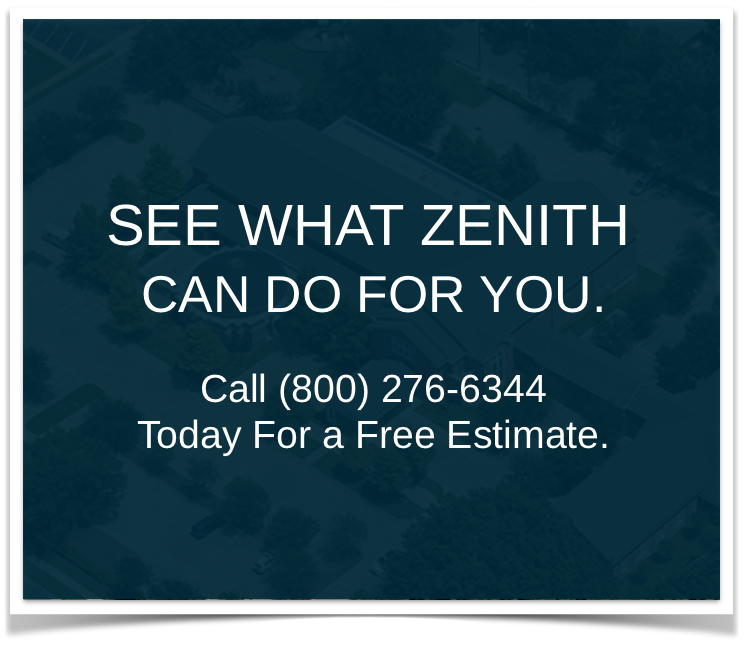 Zenith Roofing has the experience to ensure your roof is designed and installed correctly, and can provide up to a 20 year labor and material warranty. We also use many of the best metal roof manufacturers in the business, including Berridge, Petersen, MBCI, McElroy and Centria. You can rest assured that, by using Zenith Roofing Services, you are getting the best quality and installation available in the Dallas-Fort Worth area. To find out more about our services, including our Metal Roofing Installation for residential homes, contact us today!